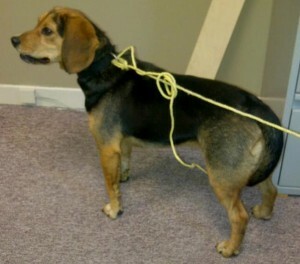 FOUND: Roaming Dog: Courthouse Road, Tusket, Yarmouth Co., NS — Beagle or Beagle Mix, Male, Adult — "Unknown"
Additional Notes: MALE: Hound mix wearing a black collar, no tags. Was found May 7/12. Very friendly and knows commands.